How does the law of diminishing marginal returns work? The law of diminishing marginal returns states that as an additional worker is added to a fixed set of resources, the additional output produced by the new worker will decrease. In other words, the marginal product falls. To calculate the marginal product, divide the change in total product by the change in resources units. According to the No Bull Review chart below, diminishing marginal returns begins after the second worker is hired. 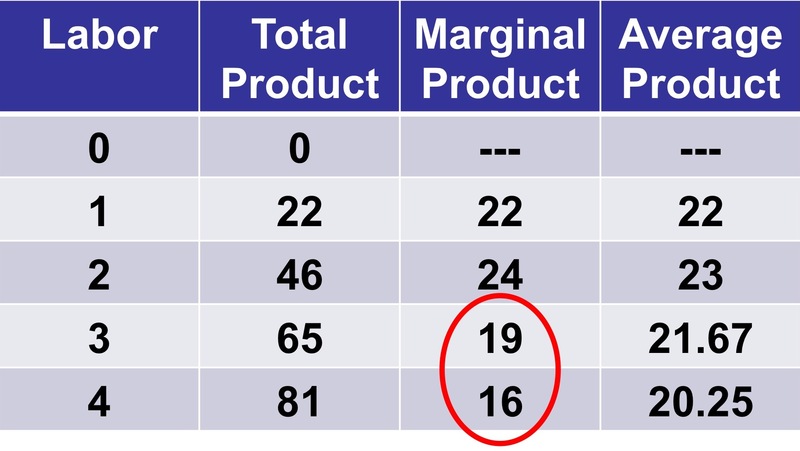 The marginal product falls from 24 units to 19 units as a result of employing the third worker.